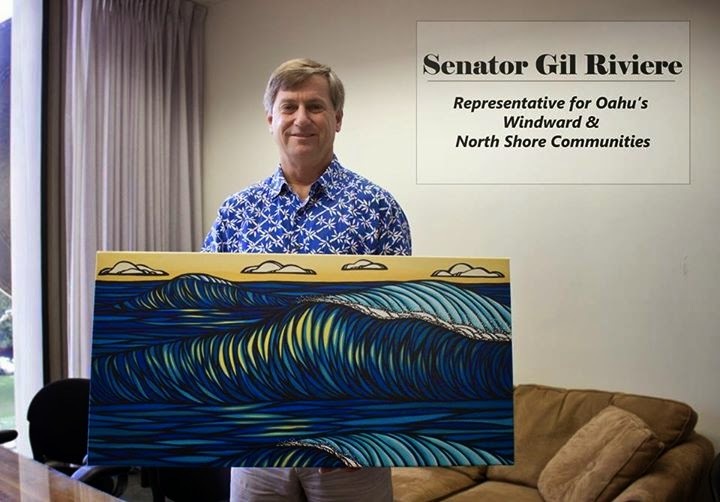 Very excited to have my art hanging in the office of Senator Gil Riviere's office! He is our representative for the North Shore and Windward Oahu areas. Mahalo Gil! Keep fighting the good fight for our people and our aina!